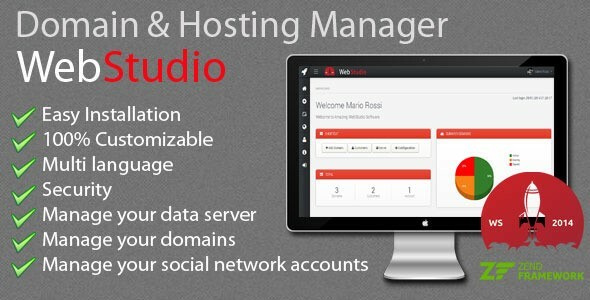 Web Studio - Domain & Hosting Manager - CODELISTPRO | Free Premium Scripts, Plugins, Apps Source Code. WebStudio – Domain & Hosting Manager is designed for web agencies and freelancers, to manage and maintain it quick and simple on Domains, Hosting and Server. In WebStudio – Domain & Hosting Manager, you can manage (add, edit, delete) your domain with its relevant accounts.